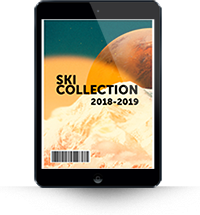 OGSO SKI ARE A COMBINATION OF MODERN SKI EXPERTISE AND INNOVATIVE DIGITAL ENGINEERING, TO A NEW GENERATION MOUNTAINEERING SKI, ”THE VERSATILE SKI”. OGSO’s spirit on the snow is to be an all-round mountaineering ski performing for all levels: excellent skier, ski instructor, mountain guide or a freeride beginner . 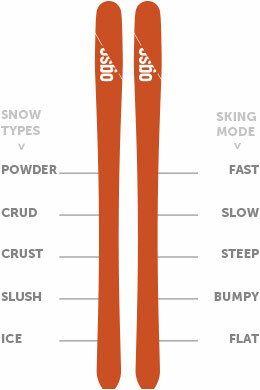 OGSO’s achievement is the creation of the most versatile and the only existing ALL-IN-ONE ski with a unique and unmatched versatility, a ski that allows to be effective in all snow types: powder, crud, crust, slush, choppy, tracked, concrete, packed, ice and in each mode: fast, slow, steep, bumpy, or flat. Ogso-ski are developed to help you ski very long days with minimal physical effort and maximal control. Everyone knows skiing is tough on the legs, and the principle of ogso is that when there is a good day, we want you to enjoy it as much as possible, so have fun with an effective ogso-ski that reduces your effort and saves your energy, and at the same time the ogso-ski passes in bad snow, on ice, in very steep, in the narrow corridors forgiving your mistakes. We all make mistakes when we ski, even the best skier makes small mistakes, ogso-ski will help you on the snow in any situation, they will allow you to practice and to progress faster, to widen and open a new playground. And for the pro-riders that have big legs don’t worry you can still come home exhausted just by letting the ogso-ski loose, they will take you to a level that you thought was not existing. Ogso ski are shaped, constructed, and tested by STEPHANE RADIGUET. Stephane is shaping ski since 30 years and considered one of the best and most experienced ski shaper in the world. Stephane is at the same time a ski-instructor in the French Alps, he is skiing ogso ski since the year 2015 every day in any conditions. Stephane made his legacy with the ogso project. 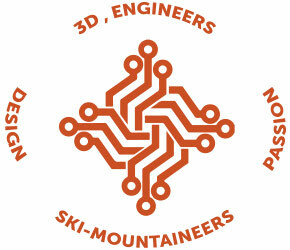 The OGSO team are young digital and 3D experts combined with highly experienced ski-mountaineers, we want to share our passion with you. All designs, 3D, engineering, and communication is made in our offices. 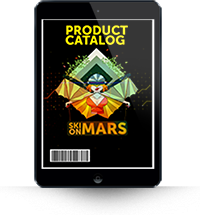 By making hundreds of prototypes with different components, constructions, shapes and innovative materials, realizing our own compositions and products such as carbon-kevlar fibres we have created a ski, with which you can go to places you have not dared to go before, you can go out and discover new boundaries, you can extend your limits. With the wide tip & tail and with the big rocker you have the feeling of surfing, an unexperienced sensation of balance, and an all-time control. People at a very good level will go more to the edge because with ogso-ski they can go faster, brake later, turn more precise, go steeper, be safer, ski anywhere at any condition whatever the snow, even on hard snow, even on bad snow and go longer because of all these advantages. People with a lower level experience a fantastic and quick progress and have access to a new ski world.